The antiquarian John Leyland, in his “Itinerary” of 1540, described Yeovil Bridge as "Ivel Bridge of 3 fair Stone Arches not far from Ivell Market" and then again “There is a Bridge a little from the Town of 3 great Arches of Stone apon Ivel and is the highe Way from Shireburne Westward”. In 1642, during the English Civil War, Yeovil was held by Parliamentarian forces and on 5 September the Marquis of Hertford sent Sir Ralph Hopton with a hundred horse, sixty dragoons and two hundred musketeers to reconnoitre the surrounding region. Hopton positioned his troops on Babylon Hill in order to observe the Parliamentarians guarding the bridge over the River Yeo at Yeovil. There was some minor skirmishing during the day although there appeared to be some reluctance on the part of the Parliamentarians to approach the Royalist positions and, as evening fell, Hopton prepared to return to Sherborne. The following day the skirmish known as the Battle of Babylon Hill took place. In 1762 the Minutes of the Turnpike Trust recorded £23 to be paid for "raising the two east sides of Yeovill Bridge 2½ feet high with Perpen Ashlar stone" this was to be 14 inches wide containing in the whole 120 feet of stone, and for digging up and securely fencing the two ends. Old rails at the bridge were to be brought away and erected "as a security against the hollow leading to Mr Harbin's rookery." The whole bridge was "new built" in 1794. In Pigot's Directory of 1824 it was noted "... the River Yeo or Ivil... runs here under a stone bridge of three arches dividing the counties of Somerset and Dorset...". In 1930, E Jervais, in 'The Ancient Bridges of the South of England' wrote "The bridge at Yeovil, which carries the road to Sherborne, has three stone arches, the same number as in the one seen by Leland, but it was 'new built' in the year 1794. The bridge remained almost completely unaltered until after the Second World War when, after much damage caused by American tanks running across it, much of the southern side was rebuilt and widened in the 1960s. Today the bridge has a stone parapet to the northern side and metal fencing on the southern side. The bridge crosses the county boundary of Somerset and Dorset, marked by the River Yeo, with the neighbouring Yeovil Bridge Toll House being built on the 'wrong' side of the river in Dorset. 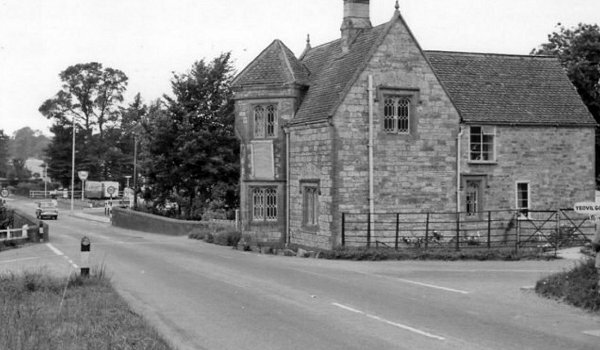 A photograph dating to the 1880s showing Yeovil Bridge and the toll house. 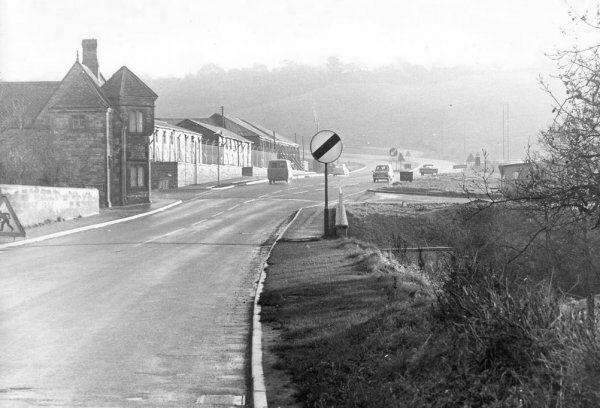 A photograph of the early 1960s looking towards Yeovil along the Sherborne Road with Yeovil Bridge at left and the toll house at right. Note that at this time the bridge had stone parapets both sides. 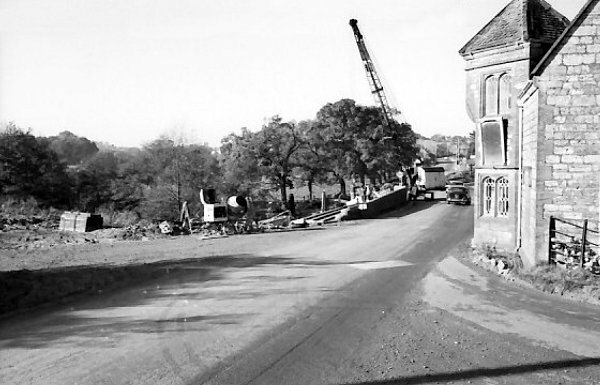 Repair works being undertaken on Yeovil Bridge in the mid-1960s following extensive damage caused by American tanks rolling over the bridge while stationed in England during the Second World War. The bridge after repairs (without a barrier to the southern side) and the new dual carriageway in the distance.